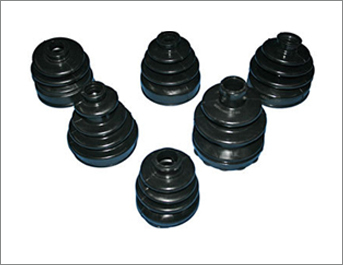 ➤ Rubber expansion bellows are used in machine to prevent dust particles, metallic chips, to enter into the precision or important part of the machine to avoid damages or problems of vibrations, noise, shock, corrosion, abrasion etc. 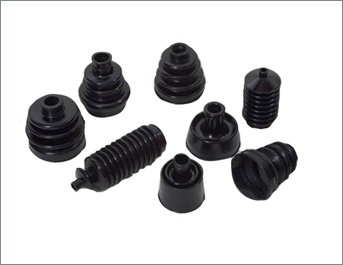 ➤ We manufacture Rubber Bellows of different shapes & sizes made from a variety of rubber grades like Neoprene, Nitrile, Silicone, EPDM, Viton, or Natural Rubber. We can also manufacture them according to customer's specific requirements. ➤ Applications: Automobile Industry, Electrical Insulation, Steering System, Suspension Joints.